Shinosuke Kataoka retrospective exhibition is held between 11/23 (congratulation · Thur) and 12/3 (sun) at Fujiyoshida City Hall in Yamanashi Prefecture. From the edge I got when I was in the student dormitory of the University of the Arts, I was involved in this retrospective exhibition. Many years ago, the project over five years has reached the great circle, and I am relaxing and writing a blog. 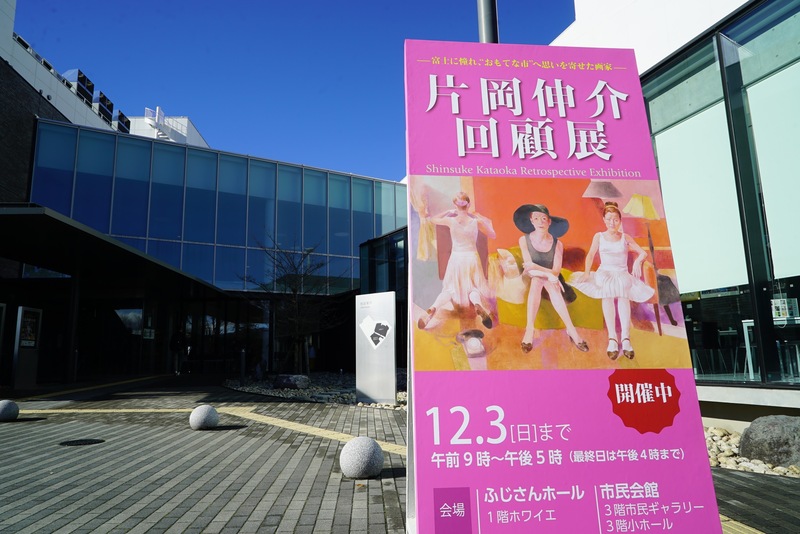 There is a fashionable garden in the municipal hall, and it is exhibited as good as the museum in Ueno as well. 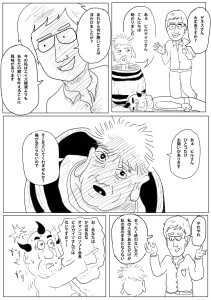 Momoko Shirasaki, who is a bereaved family member of Professor Kataoka, gave me a story and I am wondering if the first five years have passed. 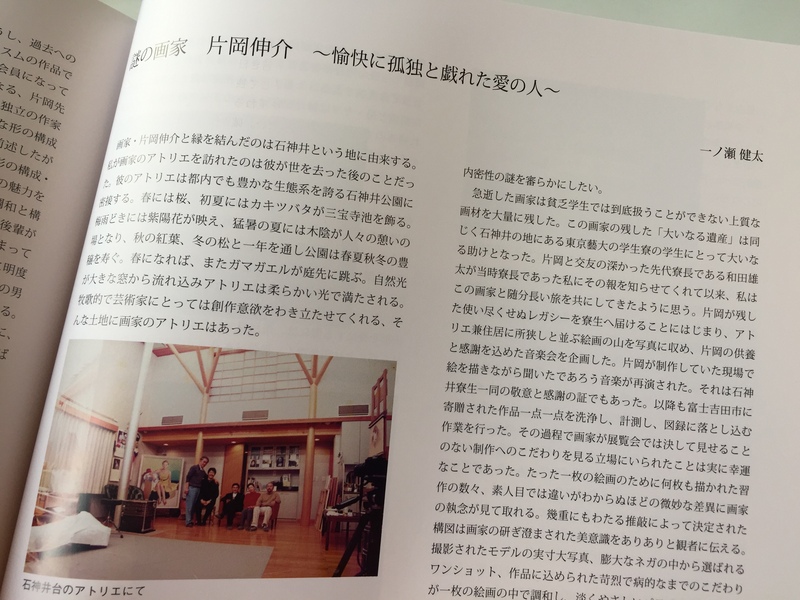 Starting with the sharing of Dr. Kataoka’s duties by everyone in the dormitory, there are things such as cleaning the atelier, arranging the canvas work, and the department that produces curators and researchers, the department of art department, until the explanation of the catalog I also honored to be honored to write it. 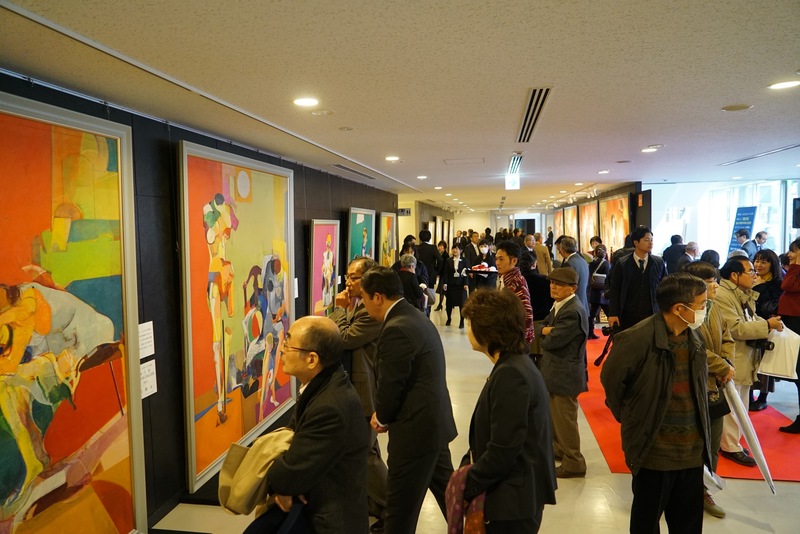 I experienced more than one exhibition experienced by curators. Mr. Kunishima presented as a curator of Takashimaya, with a wide range of experiences such as measurement and cleaning of all works, photograph shooting, preparation of delivery list with images, selection of exhibited works, writing of commentary and commentaries, composition of catalogs I pushed under the teacher. It was a wonderful experience for me that I was not thinking about getting a job and was able to experience curator work in general. I think that I got the skills of exhibition management. If I think about it, have you made dozens of trips to Yamanashi and Tokyo? 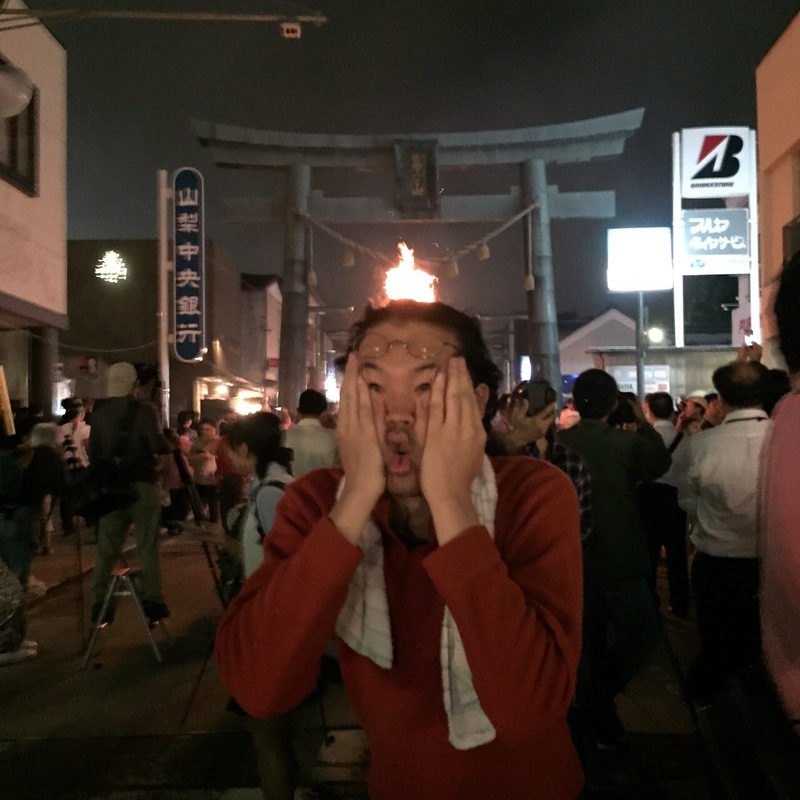 We also participated in the fire festival which is Fujiyoshida City ‘s three major festivals in Japan from the edge. I also climbed Mt. Fuji. I ate delicious horse sting. Every time I go to help you I also entered a hot spring. It was a great excuse for me to always work with a rewarding hospitality. 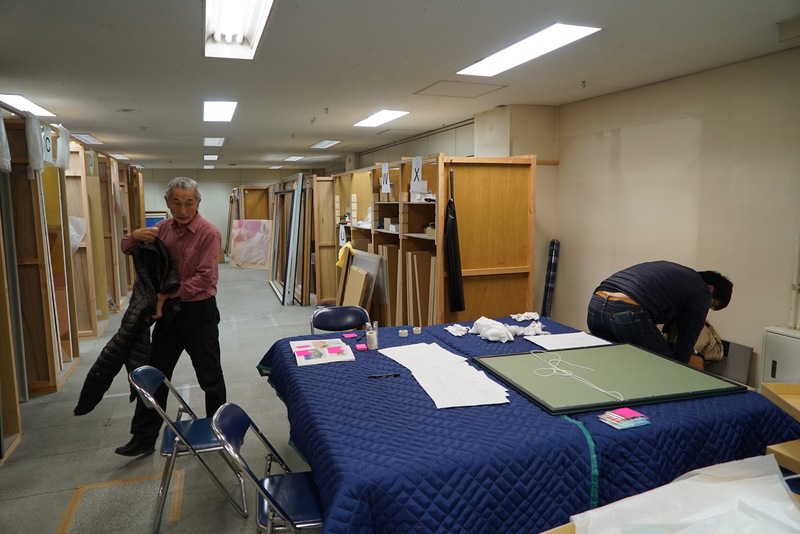 Work that dealt with delicate arts, so it was not easy to work while wearing the spirit quite a bit, but Iroha was taught how to handle each piece of work and compared with what was taught at the time of university curator qualification I learned things practically. I was also blessed with juniors and seniors from Shakujii Dormitory, and I was able to form a God Association, a general arts group. 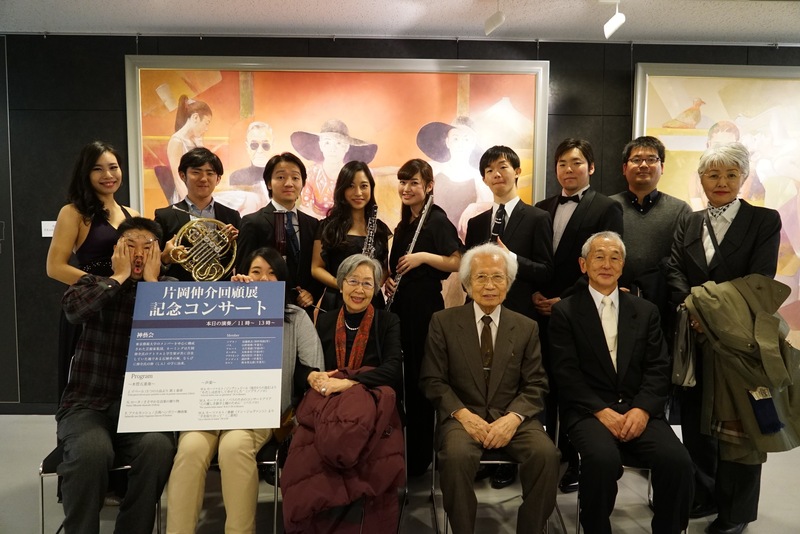 We also held an opening memorial concert in this retrospective. It was a very valuable memory that I was able to hold the first performance about three years ago at Mr. Kataoka’s atelier in Shakujii. 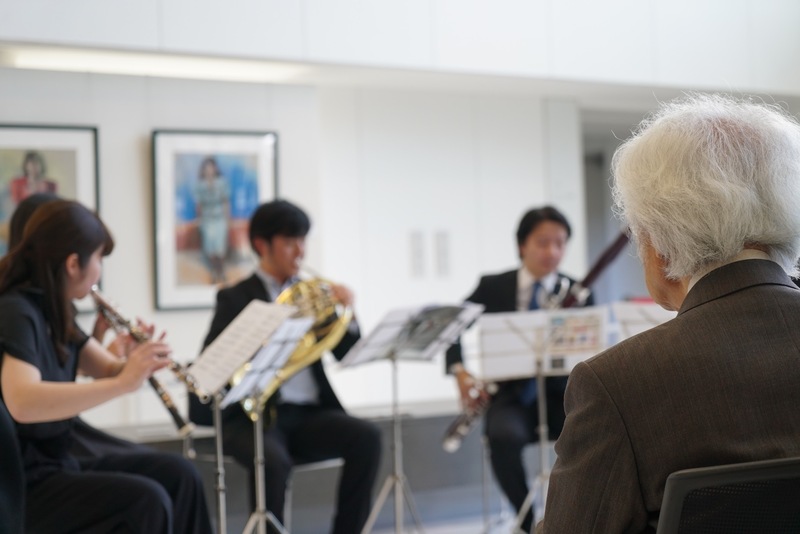 As well as the performance of the 1st God Arts Society, the music in this retrospective exhibition went through the inside of the atrium. Edge calls the edge, I think a lot of colleagues gathered and I was able to hold an exhibition. 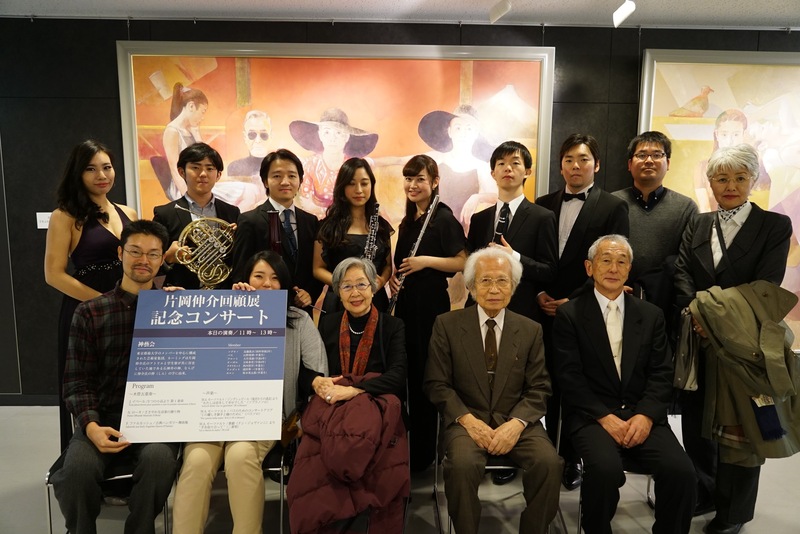 Professor Shinosuke Kataoka, Mr. Tomohisa Shirasaki, Momoko san, Professor Noriko Kunishima, juniors of Shakujii dormitory, Thank you very much. 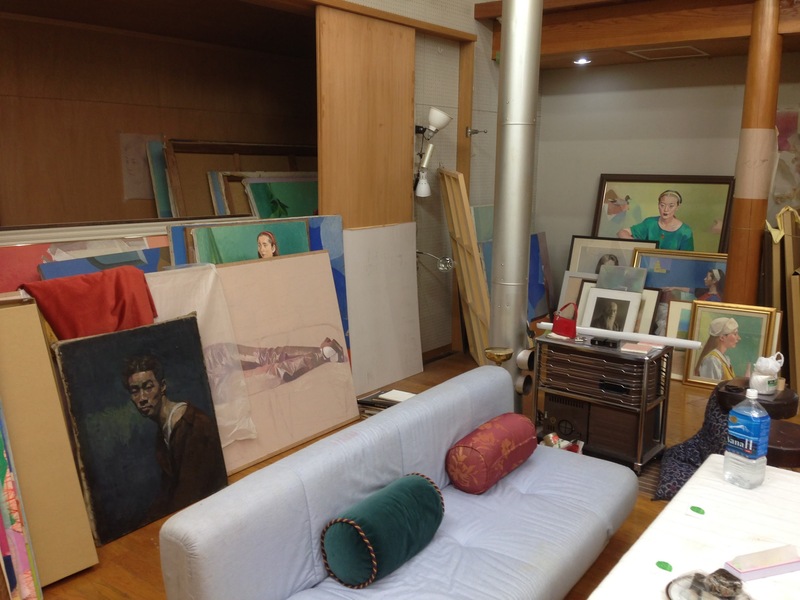 Finally, I will post a sentence (“The Mysterious Painter Shinobu Kataoka ~ Ai in Playfully Solitary with Loneliness ~”) which explained Professor Shinobu Kataoka’s person and work. Although it is a bad sentence, I would appreciate it if you can see it. Shakujii Dormitory, Mr. Kataoka will continue to nurture the edge that I gained from you! We appreciate your continued support in the future! When I visited Fujiyoshida, it was always cloudy and rainy, but at the last minute I could see Mt. 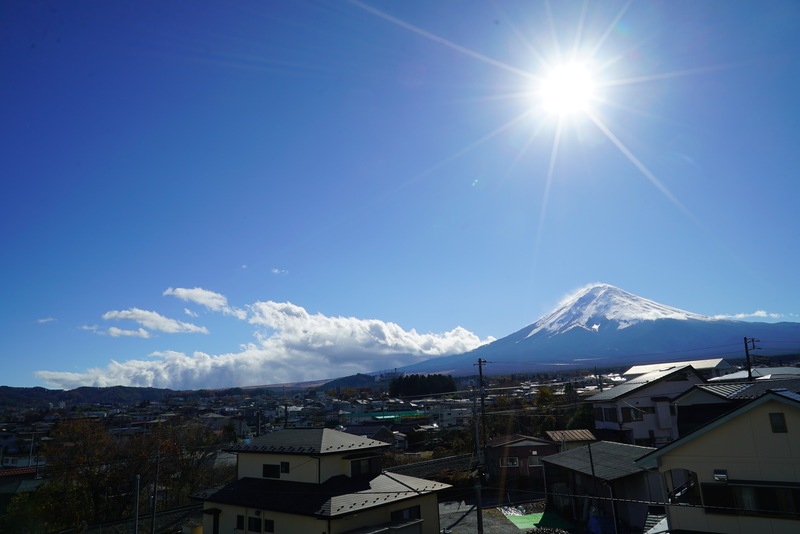 Fuji with a clear autumn sunny day! ! ! Professor Kataoka, thank you ~ ~ ~ ~! ! ! Mr. Mt. Fuji blessed the great circle! ! ! Miscellaneous affairs are still left from now but for now, I will relax ~!